Three projects involving local companies have been funded by the EPSRC Impact Acceleration Scheme. These are projects in which researchers spend part of their time with a partner company and part at the university in order to help transfer knowledge developed during our inkjet research and extend the work into relevant technology development. This short project, in collaboration with Queen Mary, University of London, used the visualisation and analysis tools developed at the Inkjet research Centre, to study electrospray systems designed at QMUL which are capable of creating drops with orders of magnitude less volume than conventional inkjet with a view to using the technique for additive manufacturing. Conventional ink-jet printing technology is restricted to low temperature printable materials, such as polymer solutions and solder. Glasses, with their durability and excellent optical, mechanical and electrical properties, underlie most of the important applications of photonics and electronics, from communications through displays and biomedicine to dielectrics in integrated circuits. This research project, which finished in March 2010, studies generic issues in industrial inkjet printing and is supported by an EPSRC five-year grant and industrial funding. Its objectives were to improve understanding, characterisation and modelling of fluid flow, fluid-nozzle and fluid-substrate interactions so that the inkjet process could be optimised. Flight PCB is a joint project that will develop high resolution, versatile-volume, direct write inkjet printing of PCBs in an industrial scale environment. 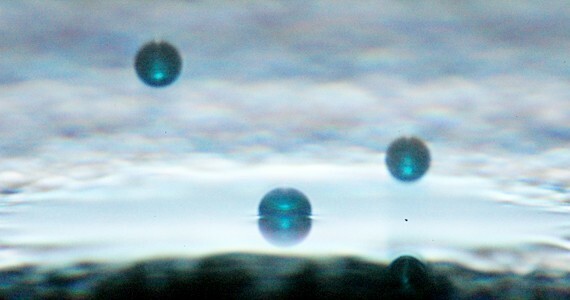 Aiming to characterise Newtonian and non-Newtonian properties of inkjet fluids and identify the key parameters affecting drop impact and spreading processes.